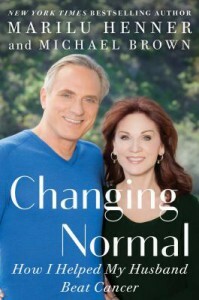 The New York Times bestselling author and beloved actor from the sitcom Taxi , Marilu Henner delivers an intimate account of how she and her husband stood together and triumphed. After they’d been dating only a short while, and as they were falling madly in love, Marilu Henner and Michael Brown were hit with the ultimate bad news: Michael was diagnosed with cancer. Refusing traditional care, they pieced together a personal and holistic view on battling his cancer, all while forging an unbreakable bond. In this moving and informative book, Marilu pulls back the curtain on how they dealt with the blow. She relates her holistic perspective on health–including the superfoods, exercises, and immunotherapy they used to fight back–and why a diagnosis doesn’t have to be the end of romance or of a happy and fulfilling life. Takeaways, tips, and practical advice make this a useful guide for anyone working to sustain a relationship through the adversity of disease. Written with an engaging voice, a sense of humor, and life-changing wisdom, Changing Normal is a personal and touching look at how Marilu and Michael faced down a cancer diagnosis and came out the other side happier, healthier, and more in love than ever. Mary Lucy Denise “Marilu” Henner was born April 6, 1952 in Chicago, Illinois. Marilu Henner began taking dance classes at age 2 at her mother’s school – the Henner Dance School. She was soon choreographing shows at local high schools and colleges. Marilu Henner has Highly Superior Autobiographical Memory (HSAM), formerly referred to as hyperthymesia, and can remember the details of her everyday life since she was a small child. Henner originated the role of “Marty” in the Kingston Mines production of Grease in 1971. She played “Marty” in the national touring company alongside John Travolta, who played “Doody”. Additional Broadway credits for Henner include Over Here!, with Travolta, revivals of Pal Joey, Chicago, Social Security, and The Tale of the Allergist’s Wife. Her first film appearance was in the 1977 sleeper-hit Between the Lines, co-starring Jeff Goldblum, Lindsay Crouse, John Heard, and Jill Eikenberry. Her second role was opposite Richard Gere in the 1978 film Bloodbrothers. Henner came to national prominence with the role of Elaine Nardo in the situation comedy Taxi. She was the leading lady in the 1982 film Hammett, produced by Francis Ford Coppola and starring her first husband Frederic Forrest. In 1983, Henner starred opposite Burt Reynolds in The Man Who Loved Women, directed by Blake Edwards. Reynolds then asked Henner to join the cast of Cannonball Run II later that year along with Shirley MacLaine and Dom DeLuise. She was the leading lady in the 1984 film Johnny Dangerously, playing love interest to Michael Keaton. Some of her other movies include: Perfect, LA Story, Noises Off and Man on the Mooon. Henner also guested on Match Game and Hollywood Squares. Henner has written eight books on diet and health, the most prominent being Total Health Makeover, in which she explains the virtues of a non-dairy diet in conjunction with food combining and exercise. Some of her other known titles include: Wear Your Life Well: Use What You Have To Get What You Want, Healthy Holidays, and Healthy Kids: Help Them Eat Smart and Stay Active-For Life! Her title Total Memory Makeover: Uncover Your Past, Take Charge of Your Future made The New York Times Best Seller List for 2012. Last year, New York Times Bestselling Author Tim Green had a contest on his Facebook page to name a character in his forthcoming young adult book entitled Home Run. After Pike County residents voted overwhelmingly, Tim Green chose to use the name Ty Rylander for one of his characters, in honor of the young Pike County man who lost his life. 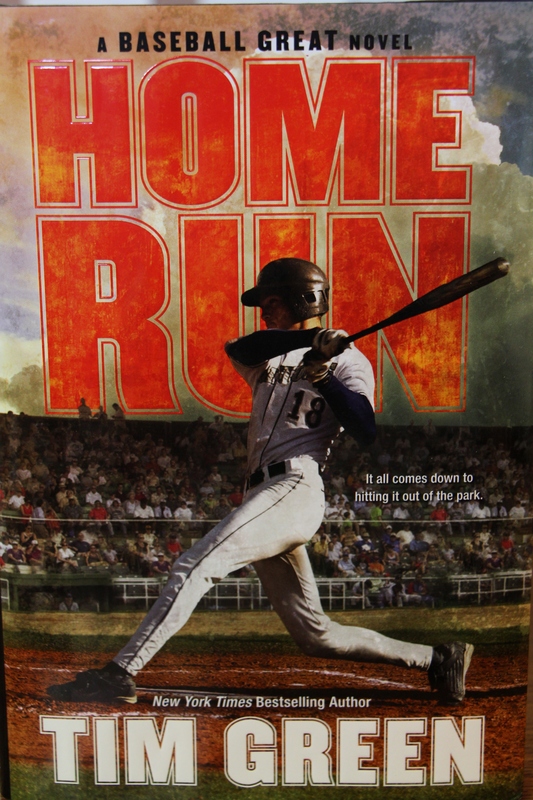 Home Run is now available for purchase, but the Pittsfield Public Youth Library is proud to be able to offer several copies for our patrons to check out. Click here for title availability. If you’re interested in purchasing a copy, you can find print or digital copies on Amazon or other online bookstores. There is also a Facebook page in honor of Ty Rylander. Josh’s life has just fallen apart. His father will no longer be coaching the travel baseball team and is moving to Florida, forcing his mom and little sister to move into a small apartment on the wrong side of town. To make matters worse, the new coach of the travel team is an unforgiving drill sergeant. But then Benji tells Josh of a home-run derby in which the winner gets a brand-new house. All Josh has to do to qualify is hit twenty home runs during his travel-team season. With Benji and Jaden’s help, Josh is hoping to hit it out of the park and save his family, because if he strikes out, he may just lose everything. In this first book of the Tales from the Goose Creek B&B, you’ll fall in love with a small town that feels like coming home. Its quirky characters and their many shenanigans will make you laugh out loud as they touch a place in your heart. Even though retirement is still three years away, Al Richardson is counting the days. He anticipates many enjoyable years in which every day feels like Saturday. But Al’s wife, Millie, has different plans for their retirement. When she learns that a Victorian-era home is up for sale, Millie launches a full-blown campaign to convince Al that God’s plan for them is to turn that house into a B&B. But a B&B won’t be the only change for the small Kentucky town. A new veterinarian has hung up her shingle, but she’s only got one patient–the smelly dog belonging to her part-time receptionist. And sides are being taken in the issue of the water tower, which needs a new coat of paint…but no one can agree who should paint it. It’s almost Christmas and we have several new Christmas titles to get you into the spirit or give you a break in the middle of this wonderful, but busy, holiday season. Charlotte Morgan grew up in Mustang Creek, Wyoming, and couldn’t wait to escape to the big city. But life in New York isn’t as fabulous as she’d like to admit–she’s lonely, doing a job she doesn’t love and dating too many frogs she meets online. There was one potential prince, though–Jaxon Locke, a veterinarian with definite possibilities–but his move to Idaho to fill in at his dad’s vet practice ended things just as they were getting interesting. 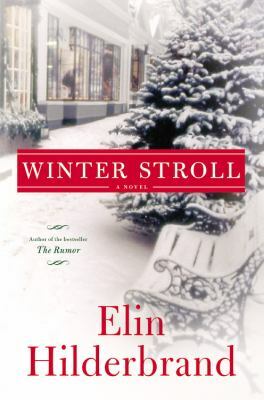 What Charlotte doesn’t know is that he misses her, more than he expected…Meanwhile, Charlotte’s great-aunt Geneva–the woman who raised her–needs to enter an assisted-living facility. So, just before Christmas, Charlotte moves back home. When Jax catches wind of her move back West, he’s determined to get to Wyoming and do whatever it takes to win her back. 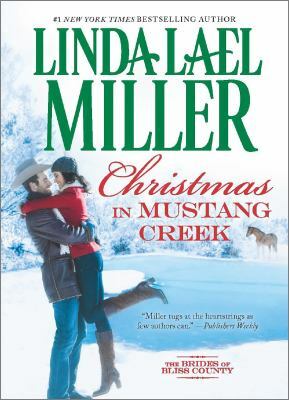 Christmas in Mustang Creek is a magical time in a magical place, not least because of a mysterious visitor named Mrs. Klozz. She knows that love is the greatest gift of all, and she’s ready to help out Santa by giving these two a push in the right direction! Click here for availability. 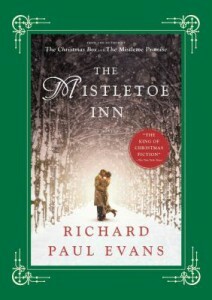 The second holiday love story in…Richard Paul Evans’ Mistletoe Collection. Kimberly Rossetti has had her heart broken more times than she wants to remember. With two failed engagements, a divorce and again alone with no prospects, she hardly seems the type to dream of being a published romance author. 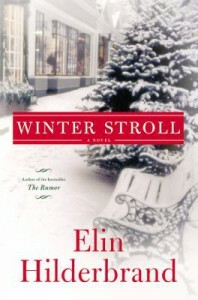 She signs up for The Mistletoe Retreat, a nine-day writing retreat in Savannah, Georgia. Famed romance writer, H.T. Cowell, once the best selling romance writer in America, and the author whose books instilled in her the desire to be a writer, will be speaking in public for the first time in more than a decade. In one of her breakout sessions Kimberly meets another aspiring writer, and one of the few men at the conference, Zeke, an intelligent man with a wry wit who seems as interested in Kimberly as he is in the retreat. Click here for availability. To bridal boutique owner Madeline Krug, organizing a Christmas wedding sounds like a joy, until she finds out she’ll be working closely with the gorgeous brother of the bride, movie star Jonny Blaze. 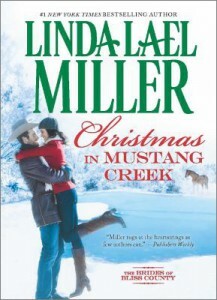 How will a small-town girl like her keep from falling for the world’s sexiest guy? Especially with mistletoe lurking around every corner! Click here for availability. Ashley Davison, a graduate student in California, desperately wants to spend the holidays with her family in Seattle. Dashiell Sutherland, a former army intelligence officer, has a job interview in Seattle and must arrive by December 23. Though frantic to book a last-minute flight out of San Francisco, both are out of luck: Every flight is full, and there’s only one rental car available. Ashley and Dash reluctantly decide to share the car, but neither anticipates the wild ride ahead. At first they drive in silence, but forced into close quarters Ashley and Dash can’t help but open up. Not only do they find they have a lot in common, but there’s even a spark of romance in the air. Their feelings catch them off guard–never before has either been so excited about a first meeting. But the two are in for more twists and turns along the way as they rescue a lost puppy, run into petty thieves, and even get caught up in a case of mistaken identity. 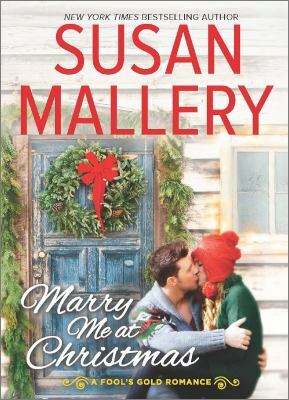 Though Ashley and Dash may never reach Seattle in time for Christmas, the season is still full of surprises–and their greatest wishes may yet come true. Click here for availability. While preparing for Christmas at the Winter Street Inn, Kelley Quinn and his family find the holiday season thrown into chaos when three of their exes show up. Click here for availability. 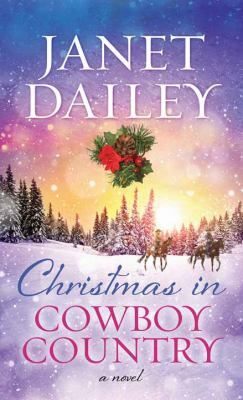 Ski instructor Annie Bennett has come home to help her parents on their Colorado ranch, but Marshall Stone, the surveyor on their neighbor’s land, is out to prove to her that she is all he wants for Christmas. Click here for availability. An unforgettable Christmas in the Catskills! A single father who yearns to be a family man, Logan O’Donnell is determined to create the perfect Christmas for his son, Charlie. 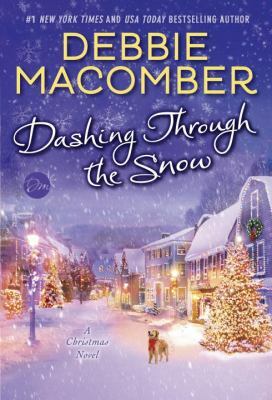 The entire O’Donnell clan arrives to spend the holidays in Avalon, a postcard-pretty town on the shores of Willow Lake, a place for the family to reconnect and rediscover the special gifts of the season. 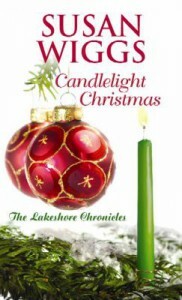 One of the guests is a newcomer to Willow Lake — Darcy Fitzgerald. Sharp-witted, independent and intent on guarding her heart, she’s the last person Logan can see himself falling for. And Darcy is convinced that a relationship is the last thing she needs this Christmas. Yet between the snowy silence of the winter woods and toasty moments by a crackling fire, their two lonely hearts collide. The magic of the season brings them a gift neither ever expected — a love to last a lifetime. Click here for availability. 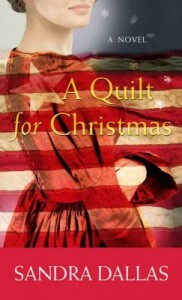 Eliza Spooner makes her husband, Will, a special quilt to keep him warm while serving in the Union army. Reaching out to help others even after learning of Will’s death, her greatest struggle will come when a stranger returns the quilt. Click here for availability. 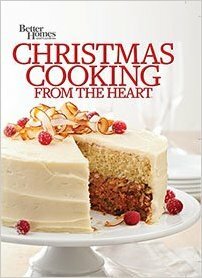 Or if you’re looking for some new holiday recipes, we have a new Christmas cookbook. Time spent with family and friends enjoying food and fellowship is the greatest gift of the season. And with the fresh takes on familiar foods, Christmas cooking from the heart can help you cook or bake something wonderful to share. Happy holidays! Click here for availability. And we have many more Christmas cookbooks and Christmas craft and decorating books on our shelves as well as many fiction Christmas titles. Check out our online card catalog for titles here, or talk with one of our librarians.